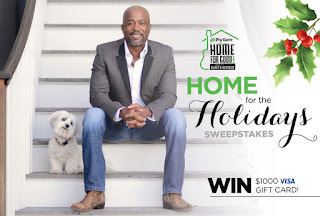 Ply Gem and Darius Rucker are asking, "What does home mean to you?". Share with them and be entered for a chance to win a $1000 Visa Gift Card! GRAND PRIZE: One $1000 Visa gift card.